The 4H boatbuilding class in the Boathouse shop, spring of 2018. Photo by James Poulson. 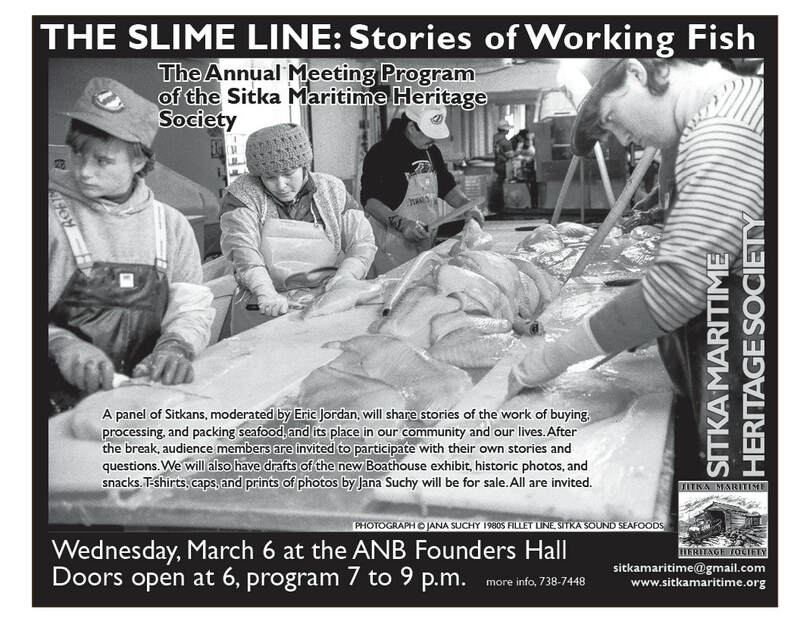 The Sitka Maritime Heritage Society 2019 Annual Meeting, “The Slime Line: Stories of Loading, Processing, and Packing Fish” will be Wednesday, March 6th at the ANB Founders Hall. 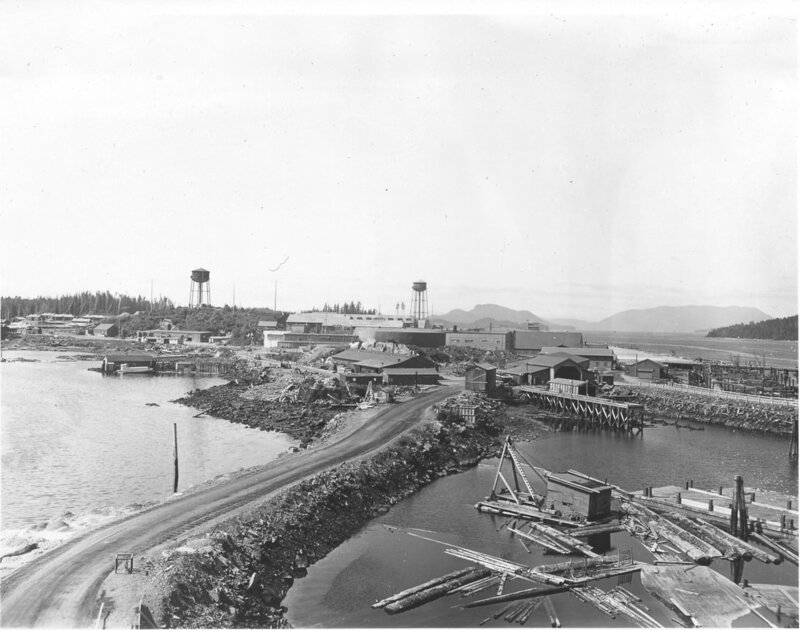 In the first part of the program, a panel of Sitkans, moderated by Eric Jordan, will share their stories of the work of fish processing in Sitka over the years. After the break, audience members are invited to participate with their own stories and questions. The SMHS will also have drafts of the new Boathouse exhibit for comment, historic photos, and snacks. T-shirts, caps, and prints of photos by Jana Suchy will be for sale. Doors open at 6 for snacks, mingling and viewing photos, with the program from 7 to 9 p.m. All are welcome. Note: "slime line" is the processing work done at a conveyer belt or line carrying fish for processing. Help Plan Our First Exhibit! We are working to put in our first exhibit at the Japonksi Island Boathouse! Spearheaded by our stellar museum intern Andrew Gianotti, this exhibit will be in the northeast wing of the building, and open to the public for the summer 2019 visitor season. It won't be fancy, but we want it to be intriguing, and satisfying in content, and responsive to Sitkans' ideas about our identity and history. We want it to cover the kind of questions visitors have about this place, and help connect Sitkans and visitors alike to this place and its story. That's where you come in! Go to the Exhibit page, and take the Survey, to help shape the exhibit! Check out our new display at City Hall (100 Lincoln Street) lobby. It features some recent additions to our collections and a little bit of information about them. See more on our Collections page. The SMHS has just won a Historic Preservation Fund grant for closing in the new addition and rebuilding the west wall (the long wall that faces Airport Road). The grant is for $25,000 and will allow us to continue work on the historical rehabilitation of the Japonski Island Boathouse for reuse as a maritime heritage center. Work will start this winter, with advertising for a contractor and getting necessary permits. 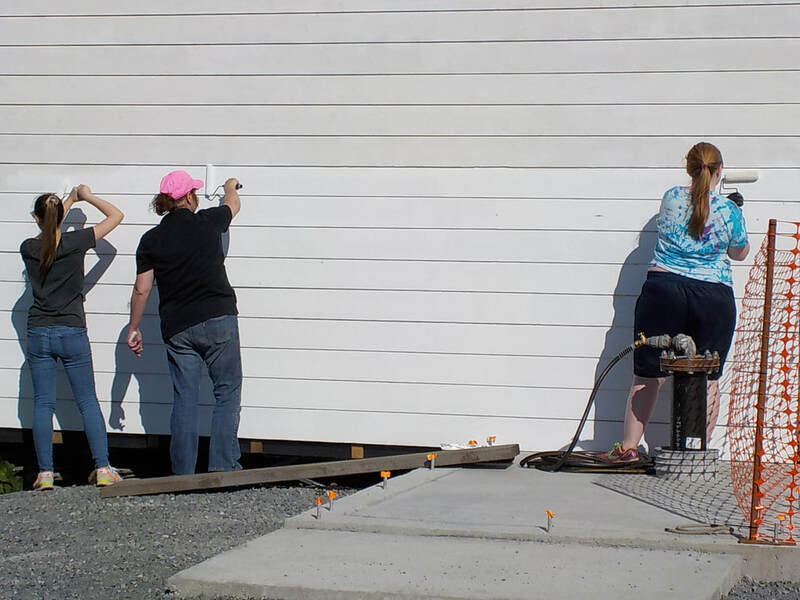 Work on the original wall will be largely by volunteers in work parties. Earlier this summer we were invited by the Greater Sitka Chamber of Commerce (which also operates Visit Sitka) to present at their weekly luncheon - here's the story by radio station KCAW. Our most exciting news is our partnership with Sitka’s 4H program. 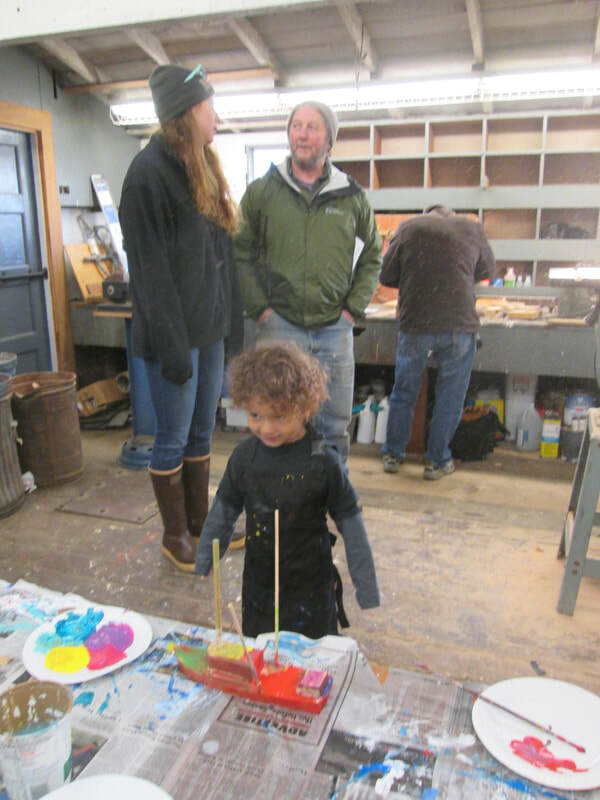 Twelve youth ages 7 and up are building a small plywood boat, at the boathouse on Sunday afternoons in April, May and June. Boat building adult leaders are Paul Rioux, Tom Crane, Terry Perensovich, and Joe D’Arenzio. This summer we wrapped up work on phase one of our entry addition. Contractor Oceanside Excavation trenched and brought utilities into the building, and Pacific Services built a stemwall foundation, pads for the new winch, entry deck, ramp and stairs. 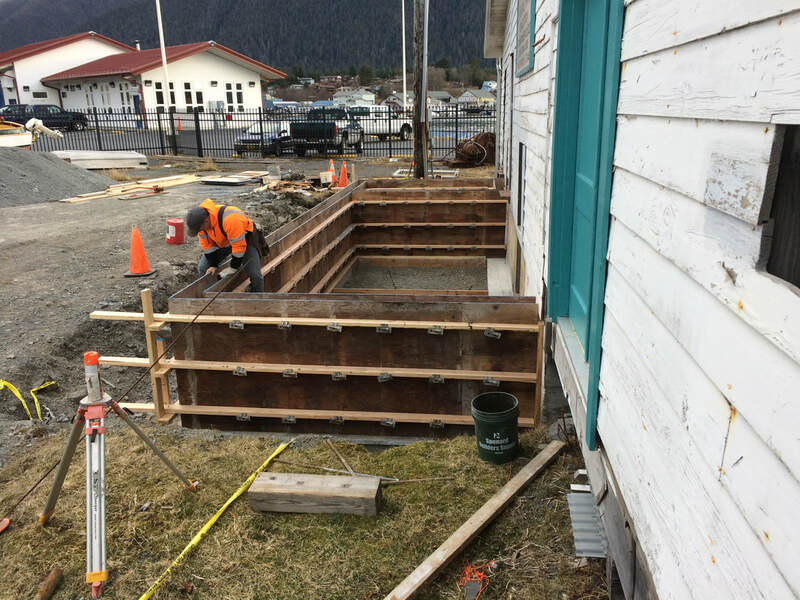 This work is funded in part by a federal Certified Local Government grant from the State of Alaska Office of History and Archaeology, via the City and Borough of Sitka Historic Preservation Commission. A series of work parties over the winter did the groundwork for the foundation, repairing walls and documenting and moving the old winch and its shed. This entry, when complete, will have a year-round restroom, utilities, a new winch, and small lobby/office. 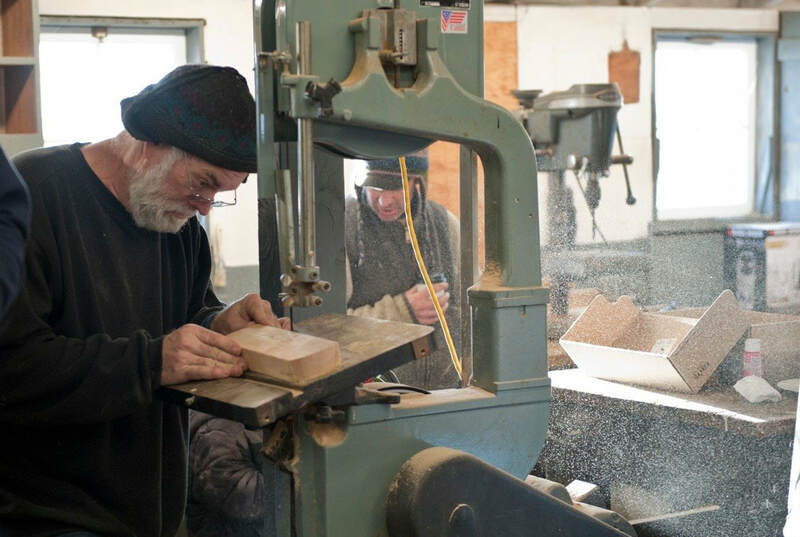 The ultimate goal of the rehabilitation has the functioning woodshop in the southeast wing, boat haul out in the main work bay, and a multi-purpose exhibit and event space in the current store room wing. Pacific Services forming up the addition foundation. Photo by Stan Barge. We are a nonprofit dedicated to preserving maritime heritage and to sharing that rich legacy with the public, especially children and youth. This year we made major progress on the building, with the foundation for an accessible entry and toilet, and restoring the walls of the historic Japonski Island Boathouse, toward our goal of a functioning maritime heritage center. We received a new Historic Preservation Fund grant, to close in the addition, and continue work on the building restoration. This spring we had to sadly say goodbye to our intrepid and brainy director, Jenya Anichtchenko, as she went on to take a full-time position as Curator of the Sitka History Museum. Rebecca Poulson stepped in to take the part-time position of SMHS director, after serving many years on the board. We are also welcoming Edie Leghorn, who will be helping out part time this winter. We held maritime heritage events, including a Pub Talk at the Mean Queen on the Northwest Passage transit of the USCG Maple, and had the wonderful “Tales of the Boatshop” at the shop itself, by the daughters of Bob Modrell, the shipwright who ran the Japonski Island marine ways for decades. In October, Josh Wisniewski and Richard Nelson shared their experiences learning from Northwest Arctic hunters, 40 years apart. Also in October we had a fantastic evening of sea songs, chanteys and stories by Don Sineti at the Beak restaurant. Our 2018 Annual Meeting, on Family Fishing Stories, was once again an enjoyable look at Sitka’s maritime heritage through the eyes of our fellow Sitkans. 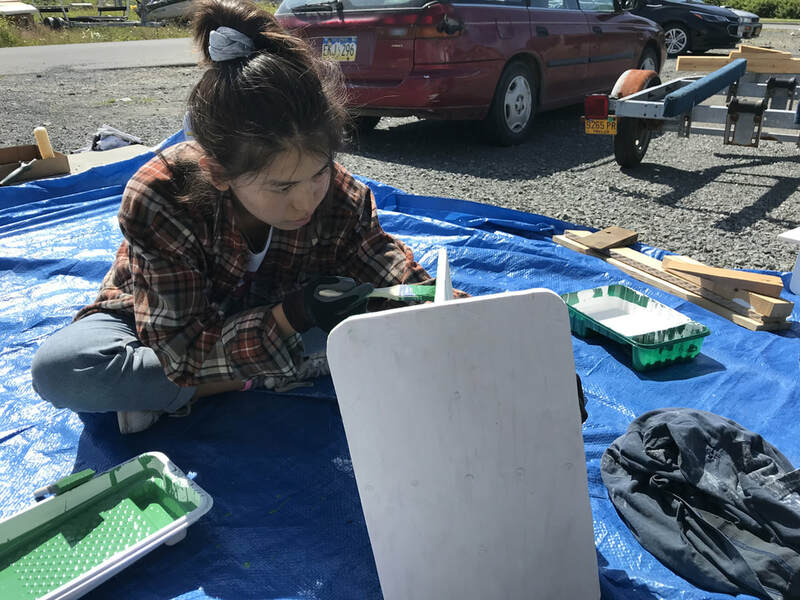 We partnered with the Sitka 4H Club to help very young people build two small sailing boats, and in July we hosted a crew of high school students attending the Outer Coast Summer Seminar for a productive afternoon of carpentry, painting, cleaning, and cataloguing artifacts. 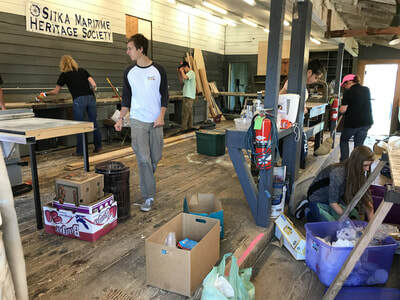 We held a Fourth of July history and culture cruise, thanks to Allen Marine, on the history of herring; had a float in the Fourth of July parade; presented at the Greater Sitka Chamber of Commerce; hosted a book fair at Paths Across the Pacific; and had a half dozen volunteer work parties. 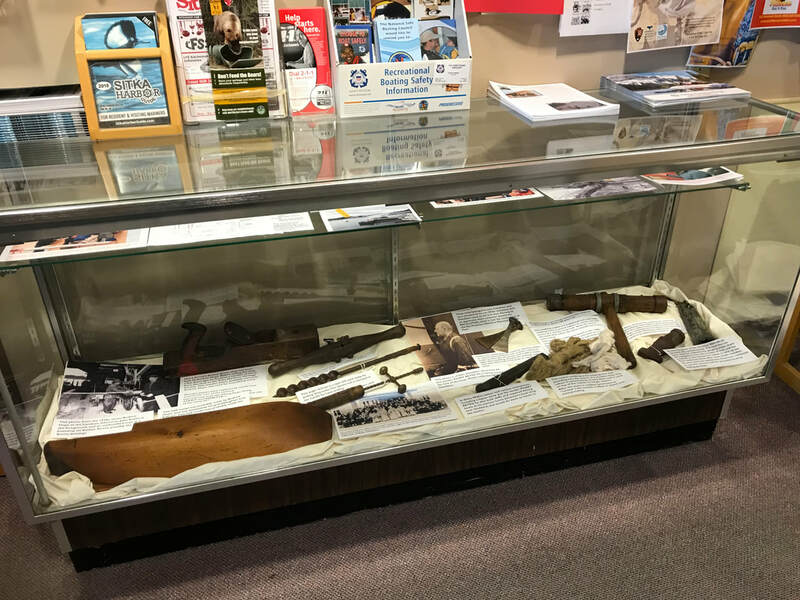 We received important and interesting maritime artifacts, and, thanks to a Museums Alaska grant last year, we were able to begin cataloguing our collection into a Past Perfect database. We finally have some of our annual meeting videos on line, thanks to a small grant from the City and Borough Assembly, which funded editing work by Lione Clare, and we updated the website. 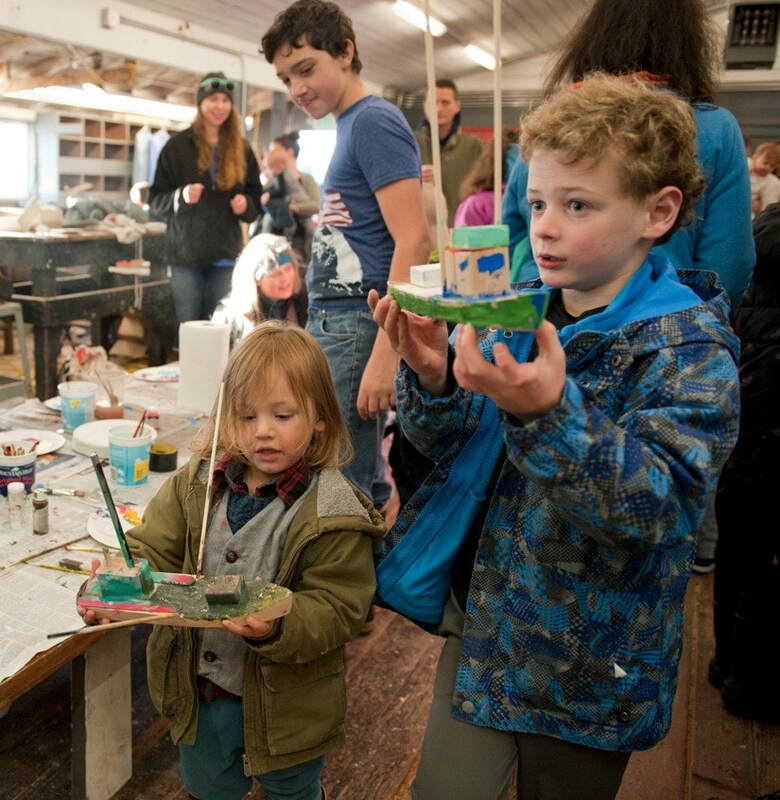 On December 1 we will have a toy boat building activity for kids at the Boathouse. 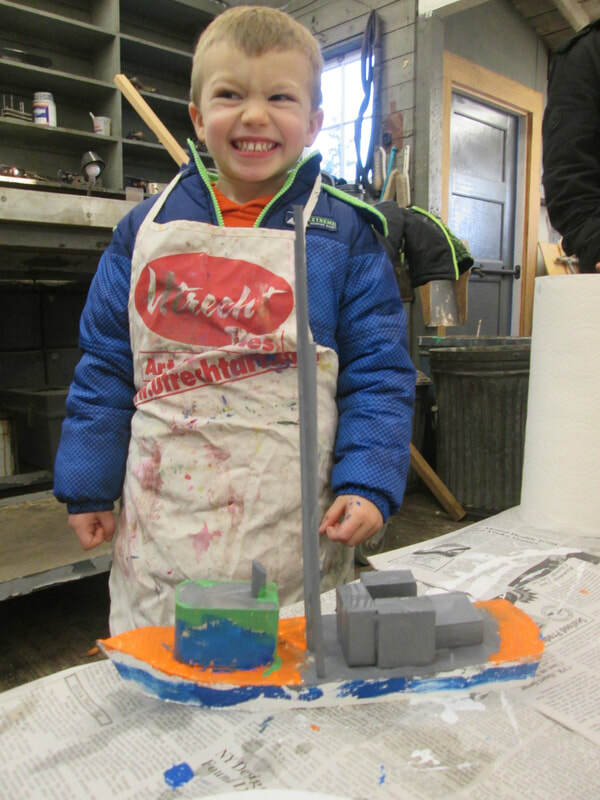 Children learn hands-on, solve problems, build confidence and have the satisfaction of making and decorating a boat of their own. This winter, we are embarking on a plan for raising the remaining funds needed to get the Japonski Island Boathouse to functionality (and producing income), and on developing tours or an exhibit in the building to generate income, while also fulfilling our mission. All this progress depends on memberships and donations like yours. We hope you will consider supporting the Sitka Maritime Heritage Society in 2018 if you haven't yet. As elders pass, and children grow, the work we do is ever more important in preserving our rich traditions, and endowing our youth with a sense of place, competence, and identity. As a special thanks, memberships and donations in November and December get you a cool sticker of our logo, and your membership extends through February 2020. You can join on line, or mail in your membership. And as always, membership gets you 20% discount on merchandise! Thank you for being part of preserving and sharing Sitka’s great maritime heritage. More photos from the December 1 event are on our Recent Events page! 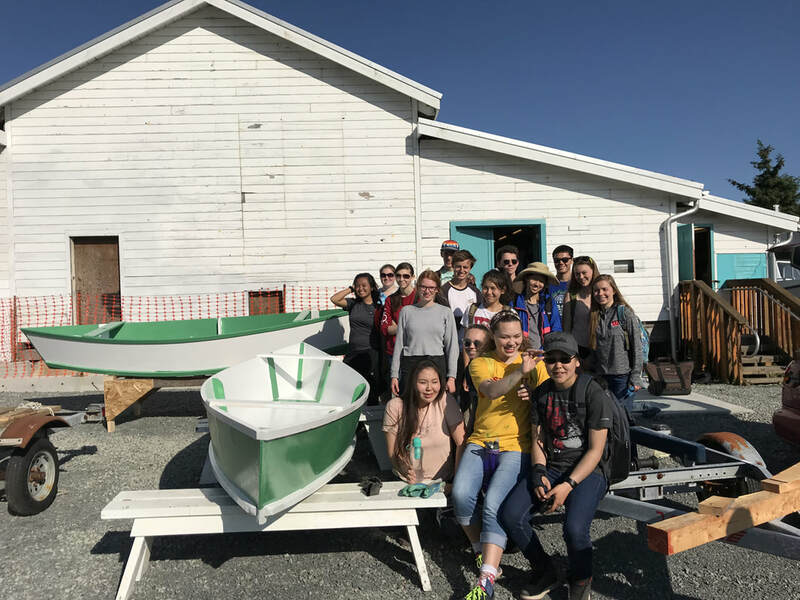 On July 13th, Outer Coast Summer Seminar students - 16 rising high school juniors and seniors - and two coordinators spent an incredibly fun and productive afternoon volunteering at the Japonski Island Boathouse. 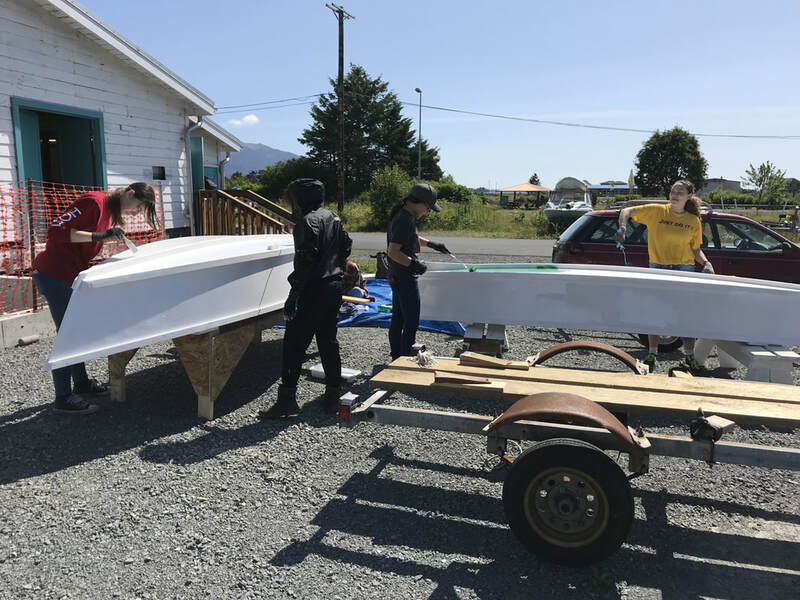 Students replaced sheathing inside the rebuilt wall of the storage room, they painted the 4H dinghies, weeded and brushed around the building, painted some exterior siding, cleaned and tidied the workshop, and helped begin the process of cataloguing the SMHS historical collections. We had a great time meeting these exceptionally friendly and intelligent young people and wish them the best in the remainder of their time in Sitka! The SMHS used a small grant from the City and Borough of Sitka to digitize and to edit video for publication on line and for our exhibits. Local Lione Clair did this work in between her work as a naturalist this summer. Click Here to go to our oral history video page. Our intrepid, energetic and brainy Executive Director, Jenya Anitchtenko, has taken a job as the Sitka Historical Society’s new Curator. We wish her the best in this new position! Long-time board member and artist Rebecca Poulson is taking on the Director job. We have lots of plans for the coming year, building on Jenya’s great work and creativity. We also are keeping the door open to hiring a motivated person interested in making this their career, who wants to grow the director job and the organization. If this is you, email us at sitkamaritime@gmail.com.